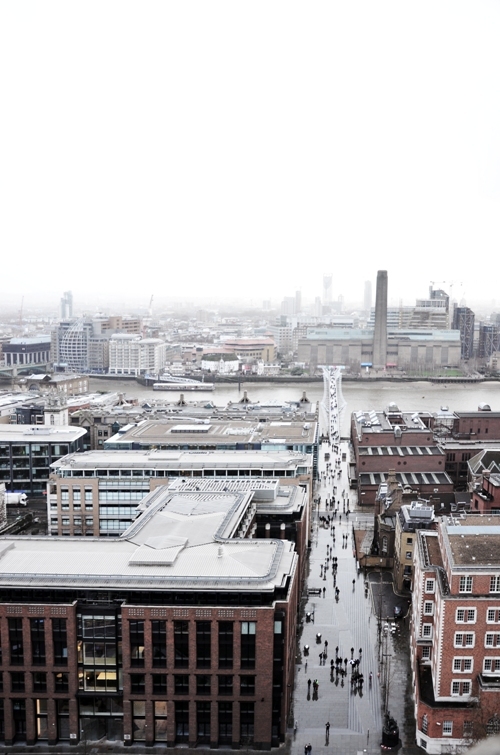 We climbed up to the top of St. Paul's Cathedral the other day and the view was spectacular. Despite it being a drizzly and grey (typical) London day, the misty aesthetic was quite a dream. Whilst you might expect the best views to be in the tall towers, like the Cheesegrater, Gherkin or even the Sky Garden in the Walkie Talkie, the distance of St Paul's away from the centre actually gives you probably the best view of the towers themselves in a stunning composition of the ever changing skyline. What's more, the small platform at the top gives you a true 360 degree panoramic view as you nudge your way around other visitors. Just got the Shard and Heron Tower to go!